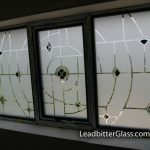 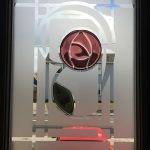 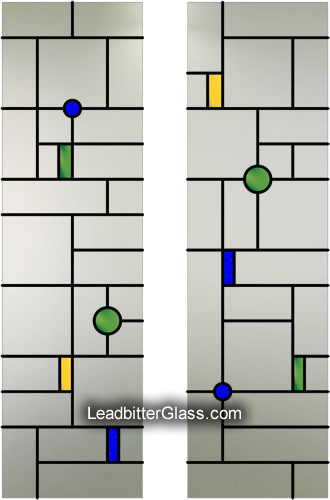 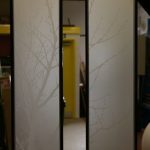 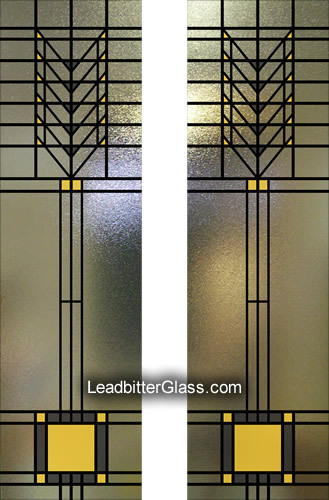 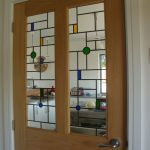 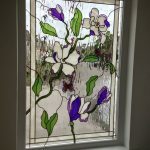 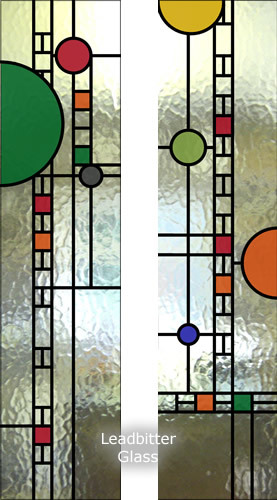 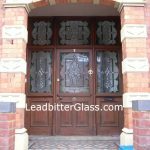 These beautiful glass designs inspired by the works of Frank Lloyd Wright are created ideally for split glazed doors or Victorian doors as they are also known. 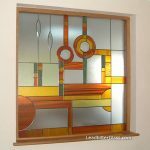 Due to the fact that we create everything from scratch we can manufacture glass for you in most sizes using these Frank Lloyd Wright designs as inspiration. 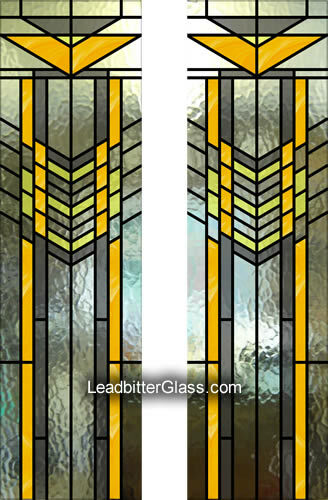 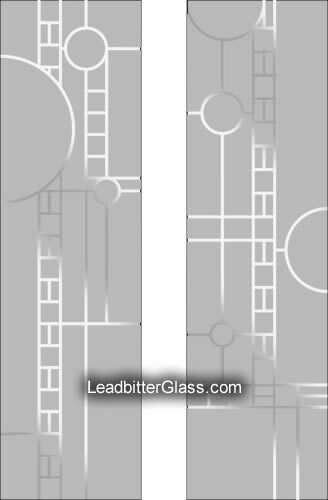 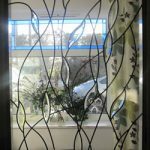 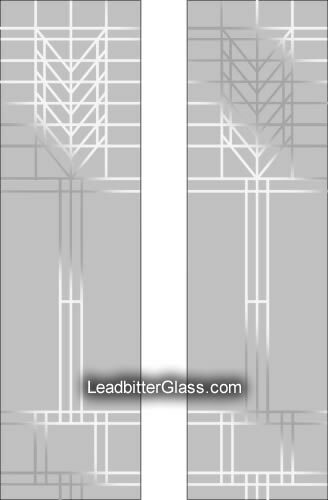 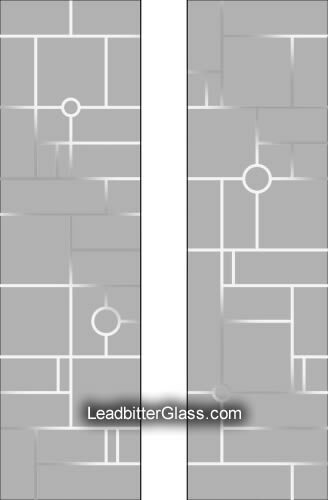 These designs are displayed in a Leaded Glass version and an Etched Glass version so you can choose whichever you prefer. 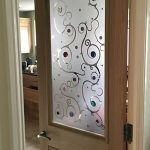 A high quality computer generated ‘mock up’ can be created for every order so you will get to see your preferred glass design in your sizes before we actually make the glass. 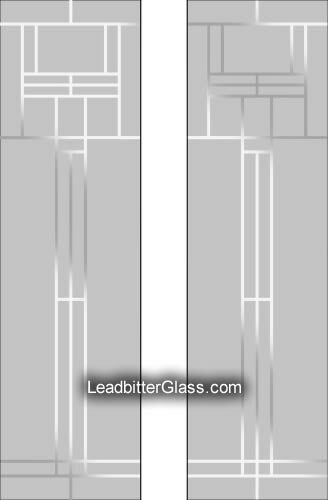 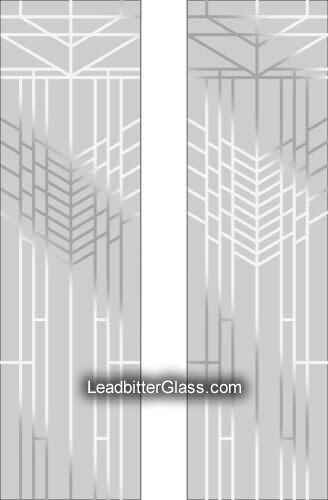 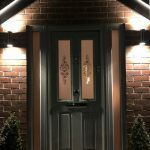 Above Design Q614 Leaded & Coloured Stippolyte Glass. 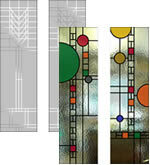 This design is our interpretation of the Frank Lloyd Wright Tree Of Life Design.